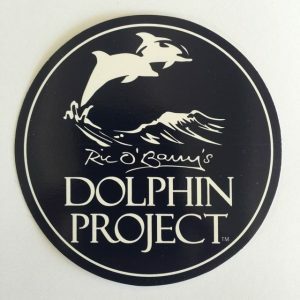 View cart “Dolphin Project Blue Cove 1.25″ Button” has been added to your cart. 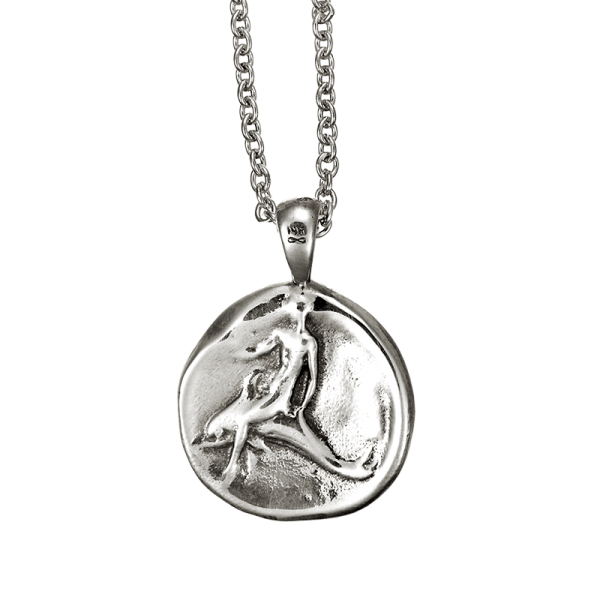 In collaboration with her friends’, Richard and Lincoln O’Barry, and Dolphin Project, famed jewelry designer Manon has revamped an ancient greek coin into a unique pendant, Every dolphin coin pendant sold, the dolphin project will receive a donation of 80% of the sale price. Beyonce, Drew Barrymore and Cameron Diaz have at least one thing in common: they like being seen in gorgeous-funky Manon jewelry. The Greek colonies spread far beyond what we now consider to be Greece in the modern day. Grecian colonies spread to Italy, the Mediterranean islands, Syria, Egypt and the Middle East. One of the more successful of the Greek colonies was one founded by refugees from Sparta on the southern end of the Italian peninsula in about 700 B.C. Named Taras, it flourished for nearly 500 years before it was destroyed by the Romans c. 207 B.C. One of the most popular stories of the founding of the city is one involving dolphins. In 708 B.C. a group of Spartan refugees, following the instruction of the oracle at Delphi (whose name comes from the word for dolphin, and who is the sacred oracle of Apollo, whose symbol is the dolphin), set sail toward the southern end of the Italian peninsula to found a colony there. 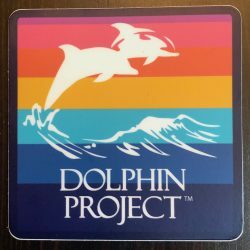 It’s said that Phalanthos, the leader of the Spartan colonists, was shipwrecked before reaching land, but was saved by a dolphin that carried him to the shore. 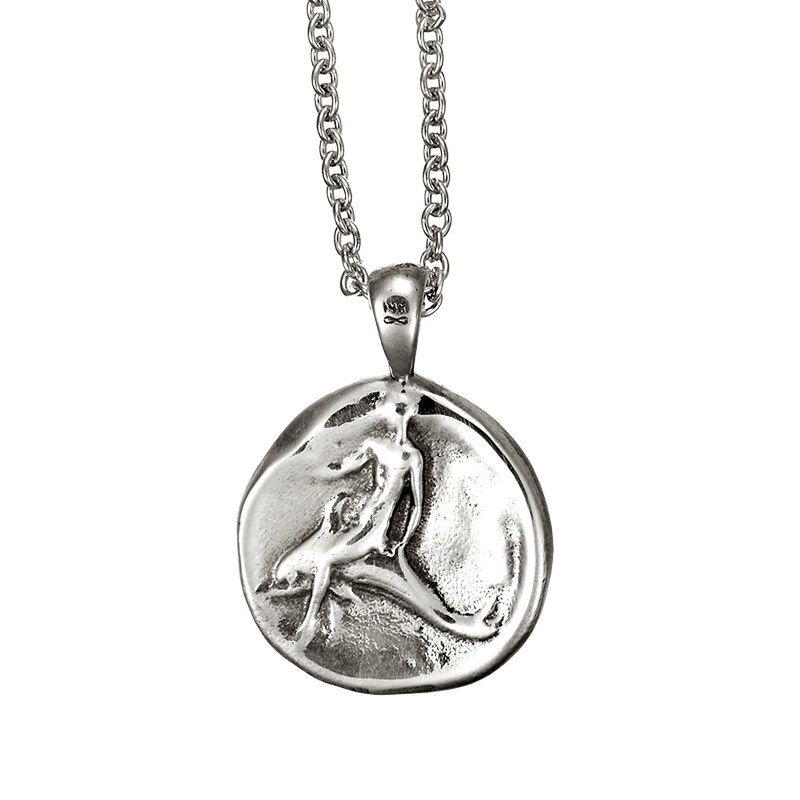 The tale echoes the popular Greek myth of Taras, son of Poseidon who was also saved from shipwreck by a dolphin. The city that was founded there was named Taras, in his honor, and the city’s patron was Apollo, thus it was a natural that the standard of the city would be a boy riding a dolphin.